Cryotherapy: Cryotherapy is the science of exposing the body to subzero temperatures in order to stimulate multiple physical and mental health benefits. Cryotherapy speeds up muscle recovery and relieves pain from any part of the body. It helps with weight loss and enhances general health and wellness. Cryotherapy is also used to treat aging and various skin symptoms. Cryo Elite Fitness and Performance: What do the Dallas Mavericks, Kansas City Royals, Floyd Mayweather and numerous other professional and collegiate sport teams have in common? They understand that faster recovery permits a consistent and frequent training schedule which is central to quicker skill development and performance, and that CRYO is the tool to significantly accelerate recovery. Athletes with poor recovery and frequent injuries are prevented from the consistency needed to reach optimal performance levels. Athletes seeking maximum performance and competitive fitness advantages should utilize CRYO in their training and recovery regimen to help attain their goals. Whether you desire better muscle healing, decreased fatigue, or accelerated recovery time, connect with our trained team members to schedule a visit. Benefits in fitness and performance include: Muscle & Joint Repair - accelerated soft tissue healing; improves recovery time during training and from injury; increases energy levels and stamina; reduces inflammation throughout the body; relieves pain in joints and muscles; improved muscle fatigue and sustained performance. Cryo Beauty and Anti-Aging: While the results of cryotherapy can be impressive inside the body, they can be equally as stunning on the surface as CRYO tricks body sensors to implementing the same response it would if you were freezing, thereby jump-starting the body's natural healing, detoxification and rejuvenation processes. Due to the improvement of circulation as the body works harder to reheat and transport blood, and the rush of oxygenated, nutrient-rich blood back to the surface of the skin following a treatment, many have experienced the following dramatic results. Reported benefits include the following: increased collagen production; skin tightening and reduced signs of aging; increased metabolism and weight management benefits (500-800 calories burned in one session); more youthful complexion; and cellulite reduction. Cryotherapy is the science of exposing the body to subzero temperatures in order to stimulate multiple physical and mental health benefits. Cryotherapy speeds up muscle recovery and relieves pain from any part of the body. It helps with weight loss and enhances general health and wellness. 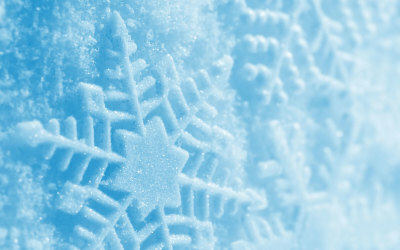 Cryotherapy is also used to treat aging and various skin symptoms. Cryotherapy is the science of exposing the body to subzero temperatures in order to stimulate physical and mental health benefits. It reduces inflammation in the body by boosting an anti-inflammatory chemical called norepinephrine. Cryotherapy speeds up muscle recovery, reduces tissue damage, decreases inflammation and relieves pain by increasing cellular survival and strengthening the immune system. Cryotherapy is also used to treat aging and various skin symptoms by increasing cell rejuvenation and collagen levels, reducing signs of wrinkles and tightening the skin. All forms of cryotherapy treatments work on the same principle of reducing the surface temperature of the skin to 4°C in order to boost blood circulation and reduce inflammation. The increased circulation of healthy nutrients in the body stimulates various health benefits. The term cryotherapy comes from the Greek words cryo, meaning “cold” and therapy, meaning “cure.” Ice packs and ice baths have long been used to reduce swelling and inflammation. CRYO is a much faster and more effective way to cool damaged tissue and effectively treat a number of conditions in improving patients’ overall health. If you’re looking to decrease pain, speed the healing process, simply improve general health and wellness, or solutions to any of the other conditions below, CRYO may be right for you. What do the Dallas Mavericks, Kansas City Royals, Floyd Mayweather and numerous other professional and collegiate sport teams have in common? They understand that faster recovery permits a consistent and frequent training schedule which is central to quicker skill development and performance, and that CRYO is the the tool to significantly accelerate recovery. Athletes with poor recovery and frequent injuries are prevented from the consistency needed to reach optimal performance levels. Athletes seeking maximum performance and competitive fitness advantages should utilize CRYO in their training and recovery regimen to help attain their goals. Whether you desire better muscle healing, decreased fatigue, or accelerated recovery time, connect with our trained team members to schedule a visit. Cryotherapy is the science of using cold temperatures to safely lower your skin’s temperature to induce four main health benefits: Recovery, beauty, weight loss and overall health and wellness. What is a °CRYO Chamber? A °CRYO Chamber is where we conduct our whole body cryotherapy sessions. Once you step into a °CRYO Chamber, your body is briefly enveloped with cryogenically cooled air with temperatures reaching as low as -140°C for a maximum period of three minutes. Cryotherapy treatments are not dangerous as the liquid nitrogen that is used as a chilling agent does not come into contact with your skin. A trained operator is always present during the treatment to control the temperature levels and monitor your comfort. Are there any reasons why I shouldn’t do a cryotherapy session? Most people can do a cryotherapy session. The people who cannot are anyone who has: (1) An unmanaged hypertension or a pacemaker, (2) has a history of or is being treated for cancer (3) has deep vein thrombosis, (4) a cold allergy or (5) is pregnant should not use cryotherapy. If you have questions about whether you have any risk, you should first ask your healthcare provider before using a °CRYO Chamber. Yes! °CRYO treatments are comfortable. Describing the feeling of a °CRYO Chamber treatment is like standing naked in front of a freezer on a hot day. Most of our treatments last for three minutes. However, some of our facial and other treatments can last up to 60 minutes depending on your requirements. I’m claustrophobic. Can I still use the °CRYO Chamber? Absolutely. Our °CRYO Chamber’s have the option to have your head above the cold air and maintain contact with the outside. The °CRYO Chamber is also equipped with a door that is closed but not locked, so you are always in control while in the chamber. You will be in your underwear and we will provide disposable ones (upon request) to put on as well. We will also provide mittens, socks and foot protection to protect your extremities from the cold. There is no showering involved with cryotherapy. Our treatments are completely dry. It depends on the results you are trying to achieve. We generally recommend 2-3 treatments per week to see results. °CRYO cannot guarantee that any of our clients will see specific results. However, we can tell you that you’ll likely feel great right away because after completing your first treatment, our clients usually experience a release of endorphins, the body’s natural mood elevator, a lift that can last for several hours. Depending on your physical condition, you may feel immediate relief from joint and muscle pain, improved energy and increased flexibility that can last for several hours or even days. Is one °CRYO treatment enough? While every °CRYO session can be beneficial, we recommend our clients consider one of our membership packages to receive maximum benefits. As a maintenance program, we suggest that the series be repeated every three months. Professional athletes will often have between 4-6 sessions per week to help achieve peak performance during intense traning periods. How does °CRYO Glow Facial work? °CRYO Glow Facials tighten the pores that appear on our face and in the process, can also tighten the skin. During a treatment, the surface temperature of your skin will drop to around 7-8 degrees Celsius, a process that in some cases increases the production of healthy collagen. The application of the °CRYO Glow Facial takes around 10 minutes. It is very comfortable and relaxing. It is easy to get started on your °CRYO journey to a better and healthier you. Your first step will be scheduling a consultation with one of our °CRYO Consultants. You will meet with a °CRYO Consultant for a one-on-one consultation. All of our Consultants are trained and certified on how to prescribe and conduct cryotherapy treatments to clients. Your °CRYO Consultant will take the time to discuss a holistic approach to your goals. Together, you’ll look at your whole body from different angles—and then focus on specific goals you want to achieve. These goals can range from losing weight to being sharper at work. Your °CRYO Consultant will work with you on the best treatment plan tailored to your needs. It may take as little as one visit to achieve your goals. With different applicators to choose from, your Consultant can design a treatment plan that can give you your desired results. For most people, a customized treatment plan will include more than one °CRYO treatment. For example, you may want to lose weight and reduce the wrinkles on your face. We have different treatments and equipment that we use depending on your goals. Your °CRYO Consultant will provide a recommendation of which areas should be treated and how many treatments you will need. The result? A healthier and better you. ALL OF OUR TREATMENTS ARE NON-INVASIVE. Your °CRYO Consultant will check in with you to see how the session went and you can return to your normal activities immediately.